Notice the first image of the BN SD40-2 carries a different roadnumber from the next two images. The first is the Bachmann catalog illustration and the next pair are production examples. 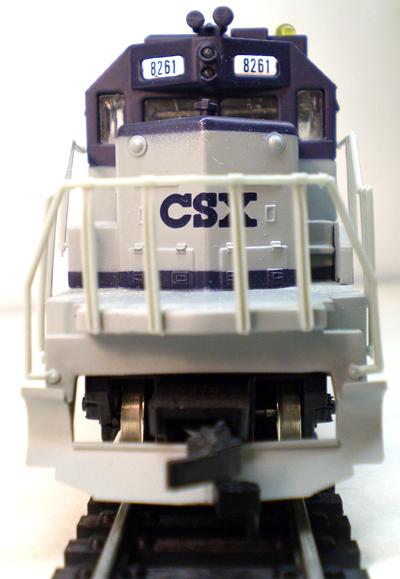 The 1983 Bachmann catalog marks the first appearance for the HO-scale SD40-2 Diesel. The model that year is billed as, "SD40-2 Diesel with Space Age Electronics," which refers to its reversing headlights and blinking warning light. The original SD40-2 is listed with a $30 retail for its 1983 debut and is presented with actual production run examples of three of the four roadnames. In general, Bachmann and many others tend to have pre-production or early mock ups of models for first appearances in catalogs. The SD40-2 starts its catalog life in its real form. 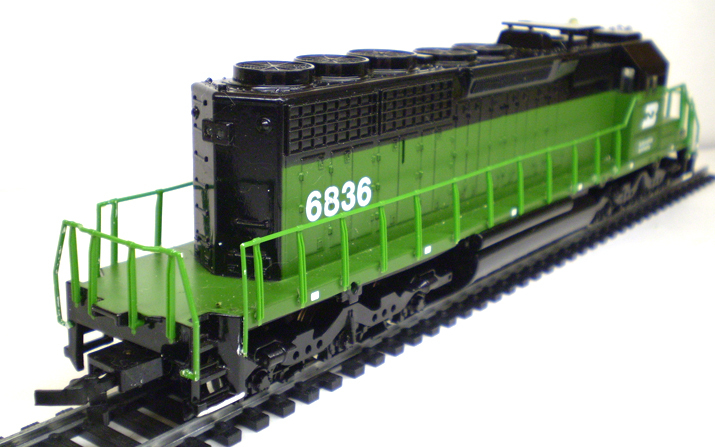 The model's details includes some interesting items for a ready to run loco of this variety. Bachmann included what appears to be a roof mounted antenna plate, just behind the cab. Additionally, the original SD40-2 included a box that suggests perhaps an air conditioner for the cab. The inclusion of the blinking warning light, also found on the prior released DD40X, makes this a rather well outfitted diesel for the train set market. There's also a snow plow cast into the front pilot. Crude no doubt, but again you would not find such things on many other diesels of the early '80s as standard issues. It is a bit difficult to nail down for certain, but I would guess that the early '80s Bachmann SD40-2 is suggestive of EMD's Phase II production examples. 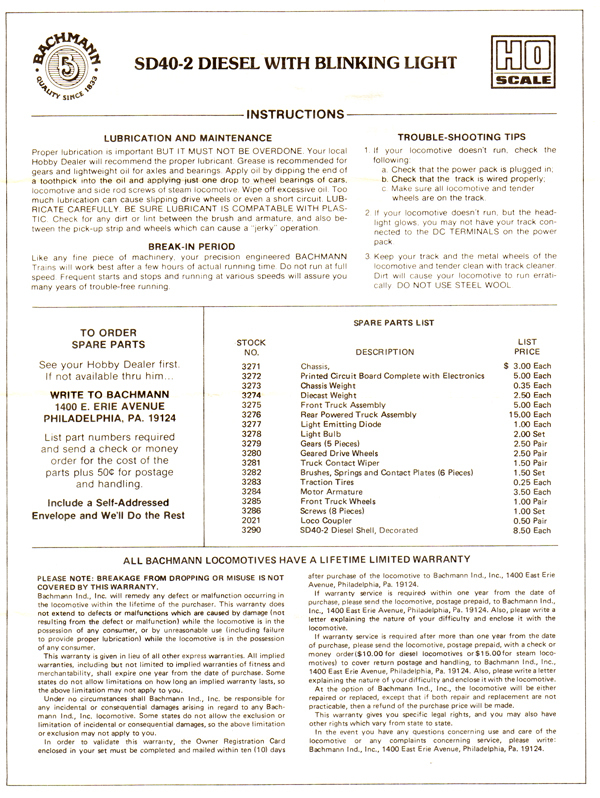 Above is the paperwork included with the Bachmann SD40-2 release of the 1980s. You may click on either image to view a larger version. 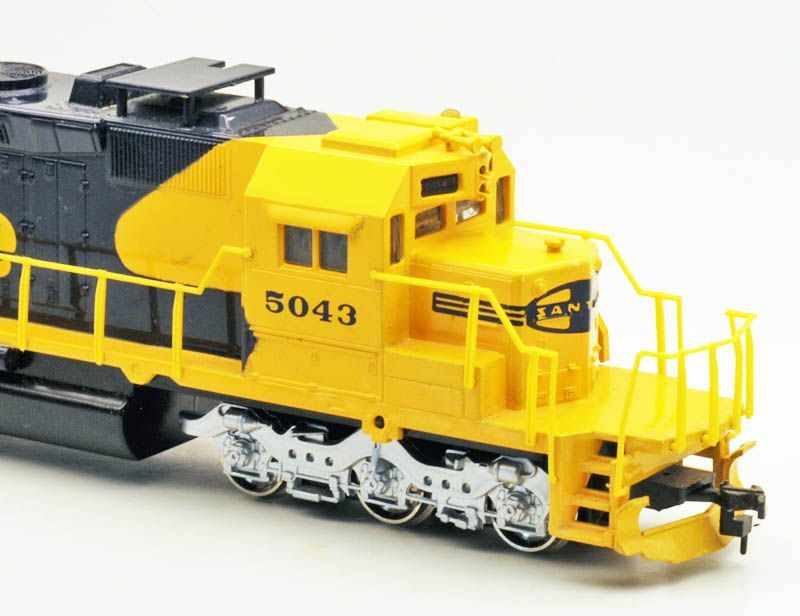 Please remember that this version of the SD40-2 is long out of production by Bachmann and thus these parts are no longer available from the company. 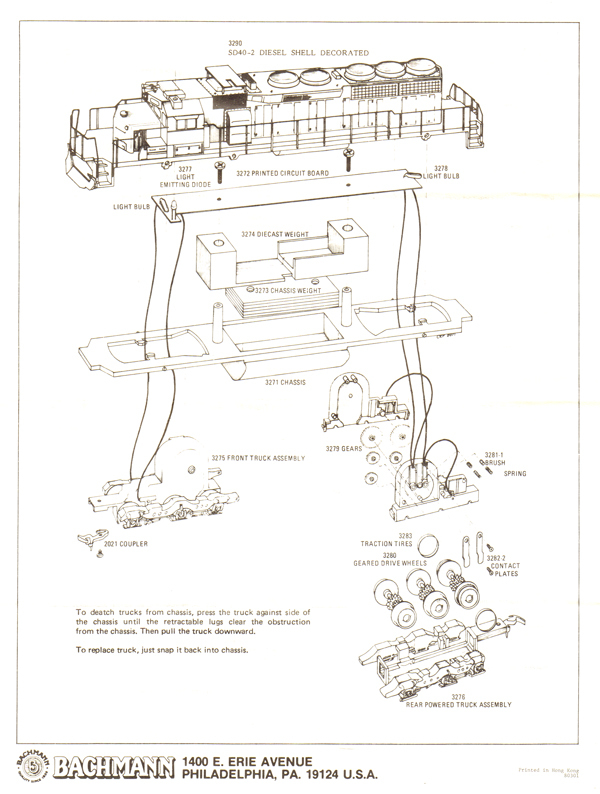 The parts diagram is presented for informational purposes only. 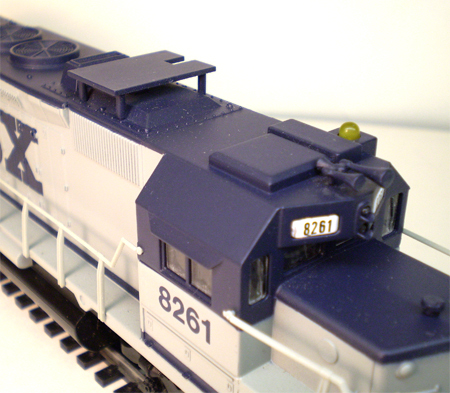 You may view the Bachmann SD40-2's Blinking Light in action in the above video. This is the Burlington Northern SD40-2 model from the 1980s showing its headlights and working roof beacon illuminated. An N-scale SD40-2 arrives in 1985 from Bachmann. 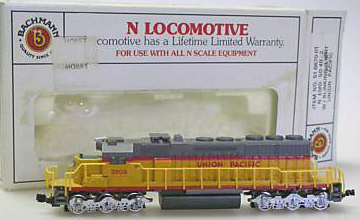 Design is similar to the HO-scale release. 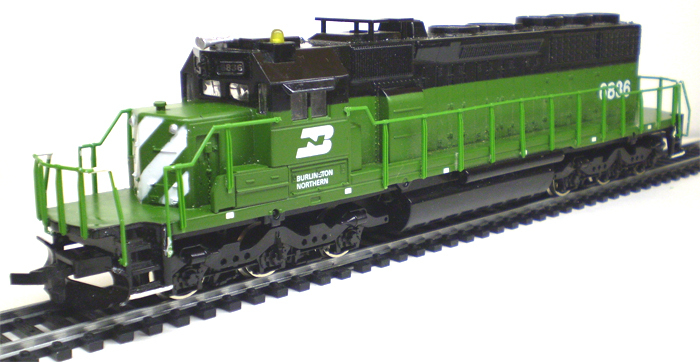 After an absence in the company's line for many years, Bachmann cataloged an HO-scale SD40-2 again in 2006. 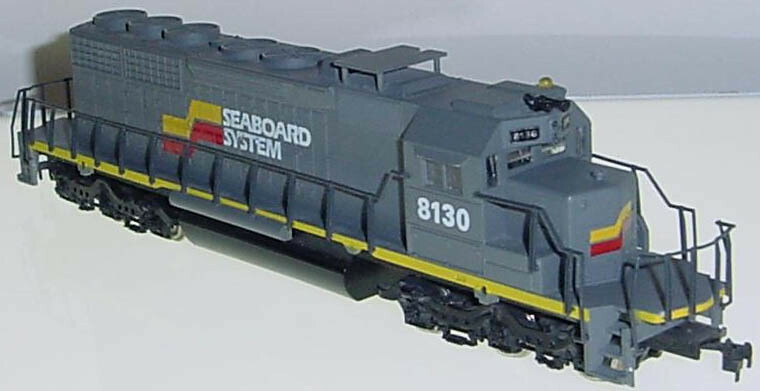 This model, however, has no connection with the SD40-2 of the 1980s. Available in a DCC decoder equipped version and standard DC example, the new Bachmann SD40-2 is a vast improvement over the past offering.